Poll: Do you think this is a big deal? What on Earth are you upset about? This is not a big deal, I mean it's just 1 character. Yeah, this could be dangerous. Emojipedia Wrote: Apple announced a number of changes to their emoji set this week, including better representation of women, single-parent families, and a pride flag. 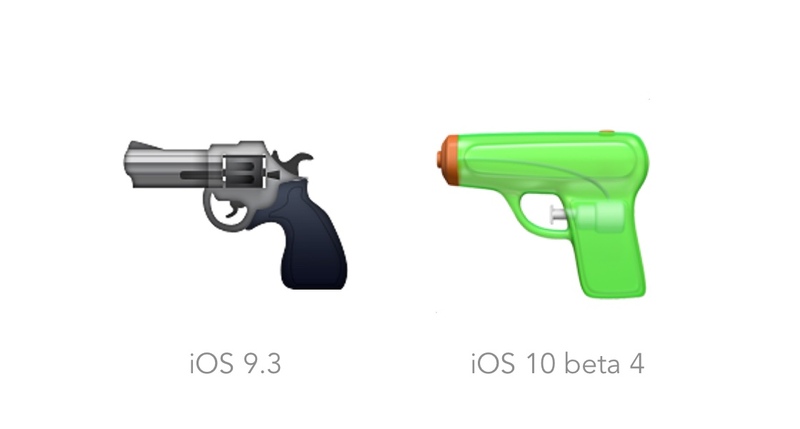 Pistol emoji has changed from a realistic-looking gun in iOS 9.3 to a bright green toy water gun in the iOS 10 beta. In the history of running Emojipedia, I have never seen an emoji change so poorly received. And this isn’t even in the hands of most people yet: it's is only a beta. I know as well as you do that the internet can be a snarky place. Changes about anything draw negative criticism, cheap pot shots, and in the case of harassment, much worse. Just because a lot of people complain about something, it doesn’t mean they are right. If Apple goes ahead with this change in the public iOS 10 release, one person could innocently tweet a toy and have that be seen by others as a weapon. All other vendors display this emoji as a real gun. Even if they all decided to follow-suit and change to a water or toy gun (which could happen, if Apple sticks with this), the change would take a considerable amount of time. By comparison, if you tell people to bring a snack using the cookie emoji, and Galaxy users bring you saltine crackers, that’s a shame, but nothing more. There is also the matter of backward-compatibility, which is a lesser issue in terms of danger, but equally confusing for end users. This is scandalous. 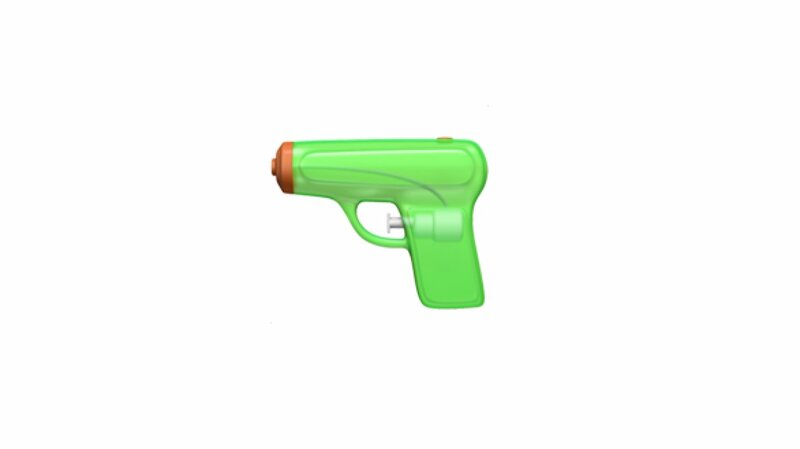 Imagine you send to your parents "We're having a [water pistol emoji] fight " and then it arrives as "We're having a [pistol emoji] fight ". What would they think? Or even worse: "Help there is a shooting I am hiding myself! [pistol emoji] Send help!" and then it arrives as "Help there is a shooting I am hiding myself! [water pistol emoji] Send help!". Have they forgot that phones are for communication?! All of these use this emoji set. It hasn't been updated with this change yet but if you have an iPhone with iOS Beta you can already test this out. I've sent the creator of Signal an e-mail about this and they gave a sarcastic reply "Thanks for the feedback and concerns over a specific emoji.". How significant is it that the software of your phone just alters the meaning of your messages without your knowledge? And people really think this will just be 1 character and it won't become more, as if 1 character isn't an issue already? (09-01-2016 10:58 PM)SoulRiser Wrote: Apple is dumb. 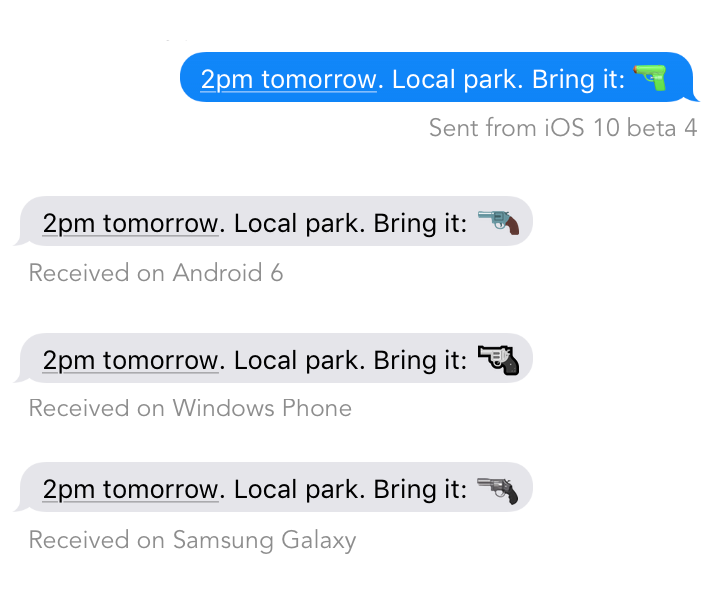 Messaging providers are also dumb for still using Apple's emoji set even though plenty of alternatives exist. All this said, if you use emoji to call for help during a shooting, you are kind of too dumb to live. (09-02-2016 07:47 AM)no Wrote: All this said, if you use emoji to call for help during a shooting, you are kind of too dumb to live. "Help there is a shooting I am hiding myself! Send help!" "Help there is a shooting, I am hiding myself! Send help!" Anyway of course you probably wouldn't search for an emoticon in an emergency situation, I was just trying to illustrate how randomly replacing things can cause misunderstandings. Useless change. It's like somebody wanted to show that they're doing something worthwhile and came up with this terrible idea just to look busy.